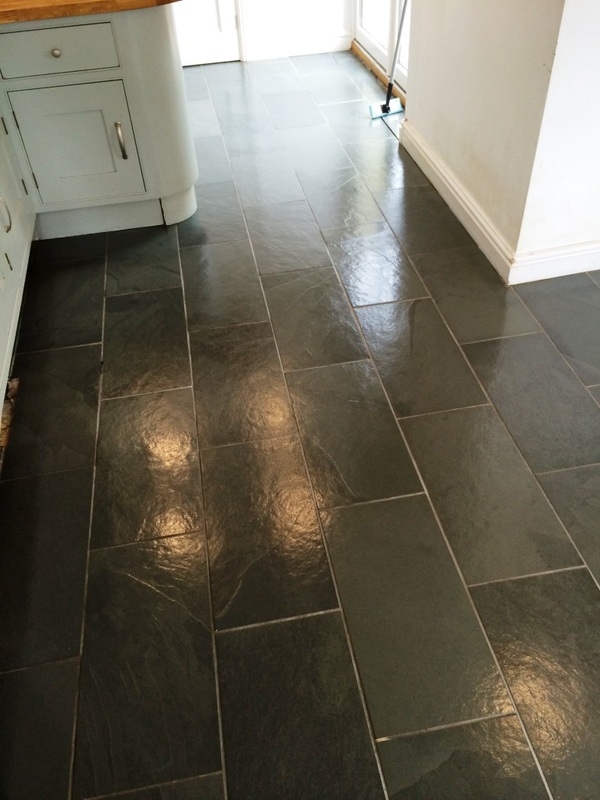 This was a straight forward refresh of a Slate Tiled floor that had been installed in the kitchen of a house the village of Malmesbury. 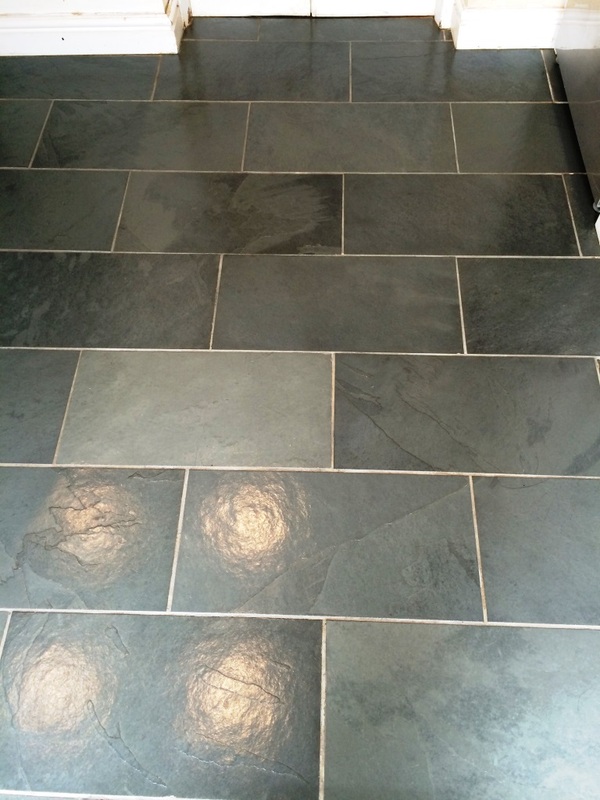 You can see from the photo below how the Slate had become dull with wear and how the grout had become discoloured; it was clear that the previous sealer was starting to fail and the tile and grout was now in need of a deep clean and seal to bring it back to life. To get the floor clean and remove and remaining sealer a strong dilution of Tile Doctor Pro-clean was brushed over the floor and left it to soak in for around twenty minutes. 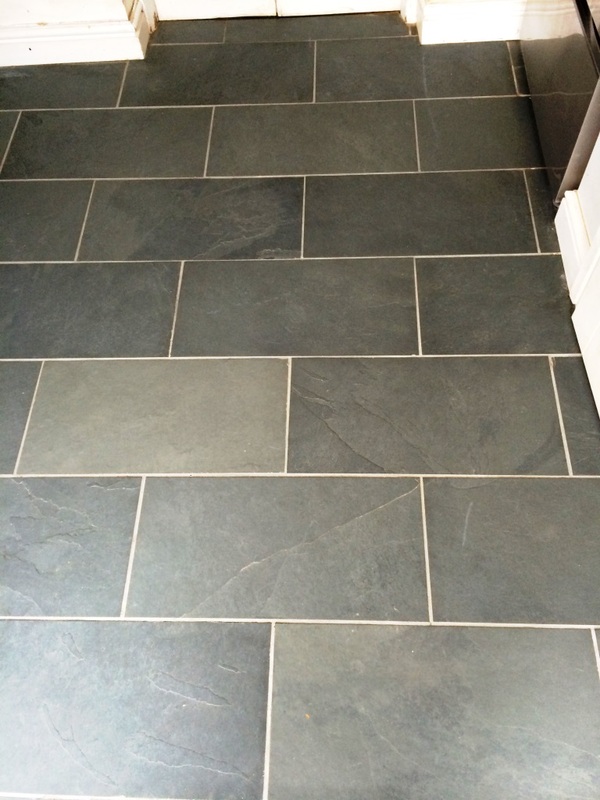 A grout brush was then used to scrub out all grout lines and get them clean. A black scrubbing pad was then attached to a rotary machine and the entire kitchen floor was scrubbed. This process generated a fair amount of slurry as the remaining sealer, dirt and grime came out of the pores of the tile. This was then removed using a wet vacuum and the floor rinsed thoroughly with clean water. 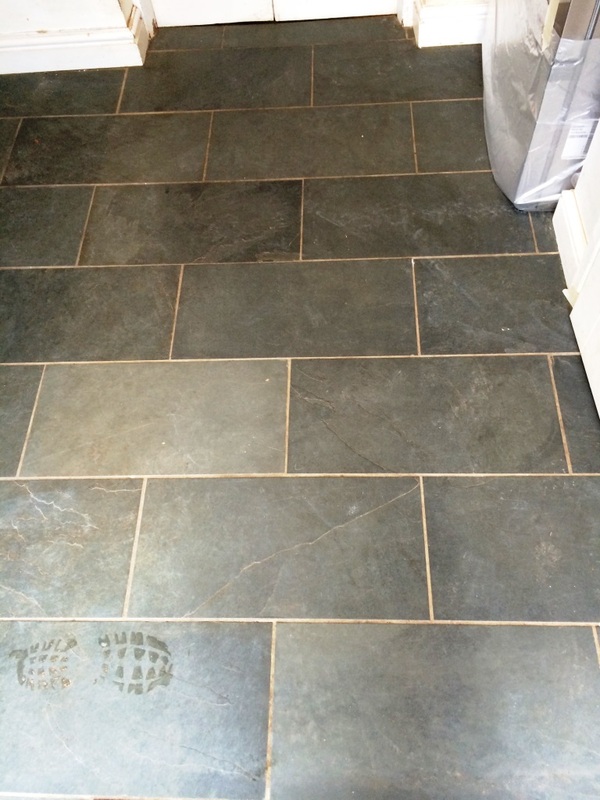 At this point it became evident that the tiler who installed the floor previously had left grout smears on the surface in some places (aka grout haze) and this was removed using a solution of Tile Doctor Grout Clean-Up applied with a black pad and thoroughly rinsed again to remove any trace of cleaning product. The floor was then dried as much as possible using a wet vacuum and left overnight. We returned the next day and tested the floor for damp by using a damp meter to ensure it was dry enough to seal; the test came back OK so we proceeded to seal by applying five coats of Tile Doctor Seal & Go which adds a nice subtle sheen to the tile and will protect it from staining for some years to come.